If you’re already an able surfer, pop into the Surf Shack on Tofo’s beachfront for advice on the best surf breaks. If you’re keen to learn, this is the best place. They offer private and group lessons mostly at low tide. Warm water, rash vests, board rental and an instructor are all included in your surf lesson fee and what a spot to learn. Nothing like the stoke of first standing up on your board! 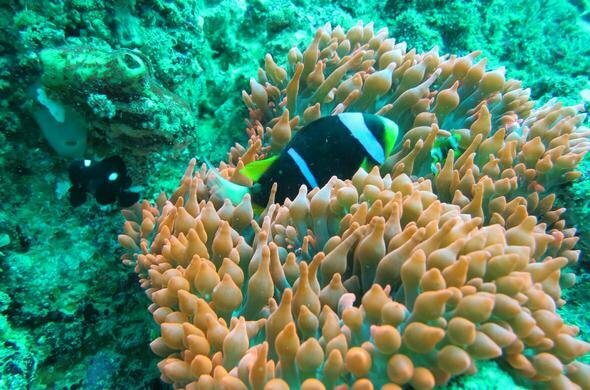 Warm water, a myriad of explosive marine life and countless dive sites ranging from shallow to very deep for all levels means that Tofo beckons to qualified divers from across the globe. This also makes it an ideal spot to get your open water certification. A dive to ‘Fingers’ reef is suitable for dives 3 and 4 of your open water and is said to spoil newbie divers for life with marco life such as Banded boxer shrimp, leaf fish, nudibranchs and frog fish and in the more protected fingers are sandy areas, ideal for torpedo rays, kuhl’s and the occasional Jenkins ray. Then, for the experienced divers who can descend quickly, there are drift dives (due to reef shape and current), such as ‘Amazon’, which is said to be wild and seldom visited and one of the few places where leopard sharks are seen, as well as other shark species, such as Whitetips, Grey reef, Black tip reef shark and scalloped Hammerhead. Mantas and spotted eagle rays are also sometimes seen on this site. Book your spot with Tofo Scuba right on the beach. A guided tour on the back of a quad bike between Barra and Tofo beach is one of the most exhilarating things you can do in Tofo. Pass palm trees, local villages and flat open sand of Barra. Feel the wind in your hair and explore quiet enclaves and beach inaccessible directly from the beach itself. Visit the Light House, Flamingo Bay Water Lodge for a swim and a beer and some local markets for shopping. Helmets are provided but make sure you wear comfortable shoes and book a day in advance. This is the most popular activity to undertake while in Tofo. It consists of a 2-hour boat ride zigzagging up and down the coastline in search of the famous whale shark with Manta rays, dolphins and Humpback whales also on the agenda. 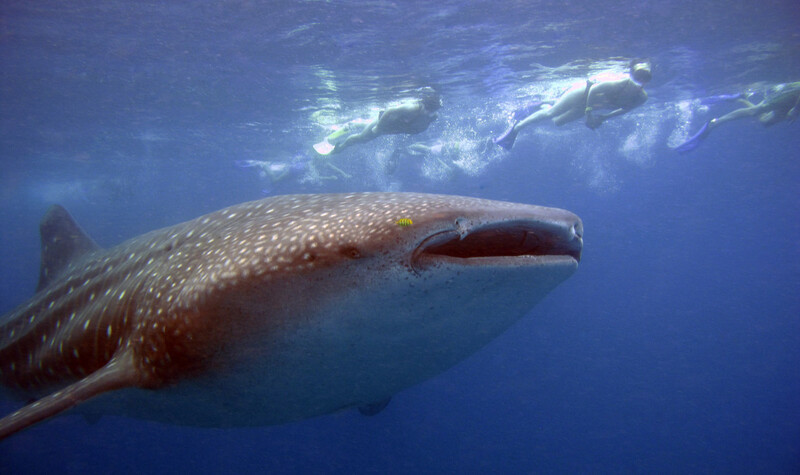 This excursion involves snorkelling so be prepared to jump in and be in awe while watching a whale shark glide underneath you with its unrivalled beauty and power. Mozambeat Motel hosts a weekly Wednesday movie night with free popcorn. Watch the movie of the evening whilst chilling in hammocks, couches or on over-sized pillows. It’s a great place to have drinks, mingle with fellow travellers and have some much-needed chill time amidst your busy time of adventure in Tofo. 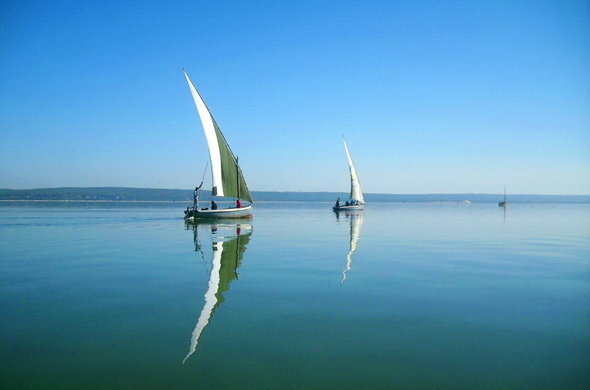 Does the idea of a dhow cruise, crystal clear waters and an abundance of pansy shells on a beach sound good? Add a local Mozambican lunch on the island and you’ve got a day out in paradise, including snorkelling and a trip on a local dhow cruise. This is highly recommended for those in need of taking a time out, relaxing and chilling on the open ocean and of course, an island. Dare I say that may be all of us? The area of Tofinho is situated on a hilly outcrop just to the right of Tofo. 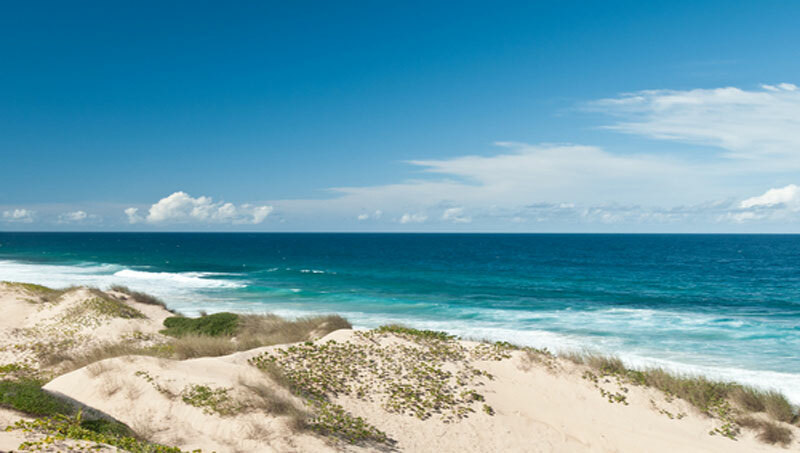 It is also the home of Tofinho Point, which is a haven for surfers when the tide is right. Watch the surfers from the hill and, if you’re lucky in season, catch the chance to see Humpback whales breach and school of dolphins swim by. Dathonga is an art gallery/restaurant/bar which hosts live music and a DJ every Sunday evening. Indulging in cold beverages while joining moving bodies on dance floor is a must to end of a great week or start it off depending on which way you look at it. Calling all party animals, this one is for you.